← Do you think you have a claim but you are missing the paperwork from the resort? The scam goes on and the new names keep on coming in. This time we have been notified of this so called procurator office by the name of Eliana Ecamilis or Procuradores Ecamilis. All fake and fraudulent, and purely set up to justify the name on the bank account where the fake lawyers from Abogados Litigacion want the fee paid. Fake address of their office: Calle Mahona 12, Edif. Nalgas 329D, 38002 Santa Cruz, Tenerife. Please be aware that this Eliana Ecamilis or Procuradores Ecamilis is completely FAKE and you should certainly not send any money to this person. 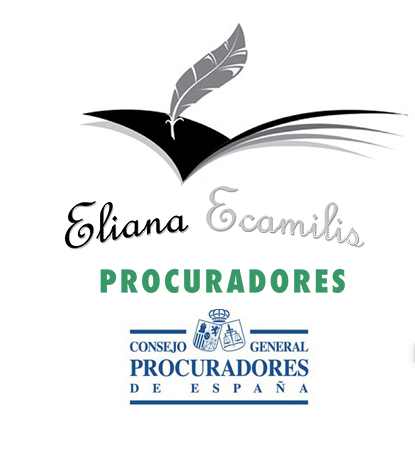 If Abogados Litigacion has been talking to you about a supposed claim and are asking now for money in the name of Eliana Ecamilis (or any other person) please let us know. This entry was posted in Directive, Fake Lawyers Tenerife, fraud, Legal Services, Mediation services, Tenerife, Warnings and tagged Abogados Litigacion, Abogados Litigacion España, Eliana Ecamilis, Fake lawyers Tenerife, Fake Procurator, Procuradores Ecamilis. Bookmark the permalink. Hi Why does the Spanish /Tenerifeian governments not clamp down on these fake people as someone issues them bank accounts to use and phone lines so someone must know who they are?